We could be on the verge of answering one of the essential questions of humanity that has captivated our minds for centuries. As we advance in technology the search for extraterrestrial life becomes more sophisticated and promising. But the real frosting on the cake would be finding any signs of an intelligent alien civilization. The Search for Extraterrestrial Intelligence (SETI) project is looking carefully for these signs, listening to the Universe that may be full of potential ET signals. In an interview, key figures of alien life hunting discuss the ongoing search for extraterrestrial life. In an interview, SETI’s Seth Shostak, Paul Shuch, Douglas Vakoch and Gerry Harp talk the odds of finding ETs, explain the famous “Wow!” signal received in 1977 and unveil the future of the search for aliens. When will we find extraterrestrial life? Will it take less than 20 years as some NASA scientists believe? Seth Shostak: No one knows, obviously. But based on the speed of our SETI searches, I predicted five years ago, in a talk and a paper, that we could find a signal proving the existence of extraterrestrial intelligence within two dozen years. More recently, NASA says the same thing, but "life" not "intelligent life". I suspect they're betting more heavily on finding evidence of microbial life in the solar system. 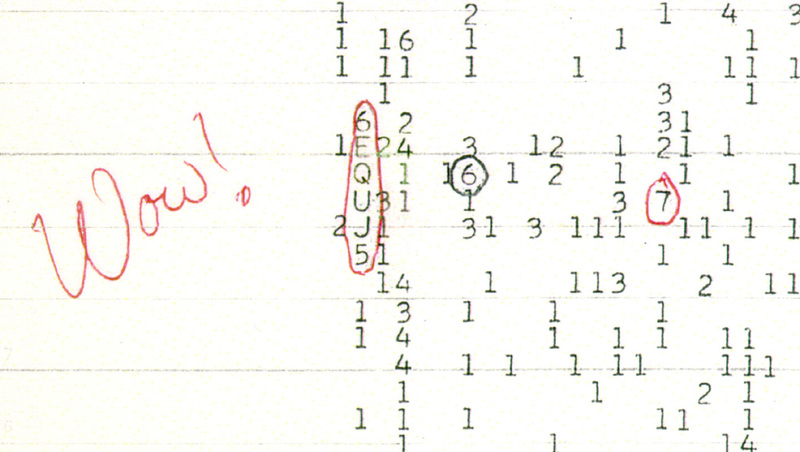 In your opinion, what was the famous “Wow!” signal? Was it really a signal from an alien civilization? A scan of a color copy of the original computer printout, taken several years after the 1977 arrival of the "Wow!" signal. It was a strong narrowband radio signal detected by Jerry R. Ehman on August 15, 1977, while he was working on a SETI project at the Big Ear radio telescope of The Ohio State University. The signal appears to have come from an area of the sky with no stars or planets, northwest of the globular cluster M55. Image Credit: The Ohio State University Radio Observatory and the North American AstroPhysical Observatory (NAAPO). 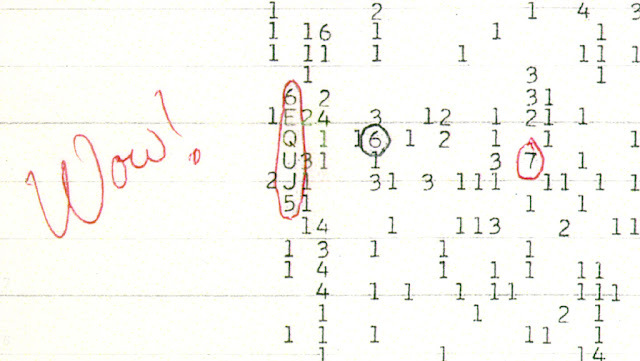 Why the “Wow!” signal is so special? How much it differs from the other ordinary signals we receive every day? Harp: It isn't at all special or different from signals that we observe every day at the ATA. I hope you're not disappointed that I'm not so impressed by the “Wow!” signal. I think you will find that many professional scientists in the field do not find the “Wow!” signal very convincing. But that doesn't mean that SETI isn't a good thing to do. There is still a 50% chance, by my estimates, that our first discovery of life off of our planet will be a discovery of a transmitting civilization. Do you think that we will receive similar signals in the future? Harp: We see such signals all the time. To answer a different question, we do sometimes observe signals that look even more interesting, from our perspective, than “Wow!” Sometimes the signals that repeat – “Wow!” was not repeatable - that carry on for some time and then disappear. I wish I knew more about such signals, but if we can't prove a signal really is ET, it is our duty to not make a big deal about it. How close is SETI today to finding signals from extraterrestrial civilization? What needs to be done to better detect potential signals from ETs? Douglas Vakoch is the Director of Interstellar Message Composition at the SETI Institute. He leads the SETI Institute's project to compose interstellar messages of the kind that may some day be sent in reply to a signal from extraterrestrials. As a member of the International Institute of Space Law, he examines international policy issues related to sending such responses. He serves as Chair of both the International Academy of Astronautics (IAA) Study Group on Interstellar Message Construction and the IAA Study Group on Active SETI: Scientific, Technical, Societal, and Legal Dimensions.